Yarn: Super Bulky; I used 2 skeins, approx. 162 yards, of Lion Brand's Hometown USA (affiliate link) in Los Angeles Tan. Be sure to count your stitches, as that last DC can be easily skipped when you aren't paying attention. It's hard to see, especially when using the ribbing technique. 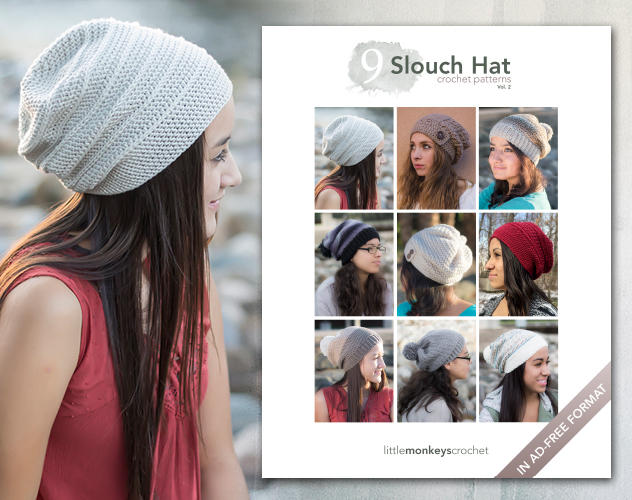 Attach your new skein of yarn at the beginning of row 6. You probably won't have enough yarn to complete row 6 anyway, and putting yarn changes at the seam keeps the rest of the scarf looking nicer. Is it back loop only for every stitch or just the first one for each row? Thanks, just wanted to check! It looks so long – I made it, too, but mine is much shorter around the neck. But the foundation ist only 65 FDC, isn’t it? Did you put a half twist in it or a full twist? Your directions sound like a full twist, but when I do that, it doesn’t lay like yours. I’m so confused with the twist. I wish I could show you a picture of what my cowl looks like so that you could tell me what I’m doing wrong. I love this pattern I don’t think I’m doing it right. Please help! Thanks so much for this pattern! It is my favorite cowl to wear! Can your chunky ribbed cowl be made longer by adding more to the FDC ? This is so gorgeous . . . .I have a question about the twist. The twist is 360 degress correct? And you complete each row with the scarf already twisted? Yes, 360, and yes, the twist is added right from the beginning. So it’s almost like crocheting in a sort of “figure 8”, but the cowl is long enough that you won’t even really notice for the first few rounds. I made a double wrap infinity scarf with this stitch, and it looks awesome! As a beginner, I had no idea that back loop only DC would look so much prettier than regular DC! Thanks!! Can this cowl be made with Lion’s Brand Wool-Ease Thick and Quick yarn or should the Hometown yarn be used for best results? Hi, finde diesen Loop superschön! Möchte ihn gerne Stricken kann aber kein Englisch. Gibt es eine deutsche Anleitung, oder kann mir jemand eine Übersetzung schreiben? Do you have any tutorial on how to add the twist to the cowl? I’m just learning and want to make sure I’m doing it correctly. I have finished making this chunky-ribbed cowl and it looks great. I’m just having a problem understanding the last step. Where is says to leave a long finishing tail and use this beginning tail to sew the first and last stitch of round 1 together. I’m not sure how to do this part. Could you please clarify if possible? I this worked in rounds or rows? ch 2 turn suggests rows to me. Could it be worked either way? You’ll work it in rounds, but you’ll turn each time you start a new round. So you’re joining the whole time, but in order to achieve the effect, you’ll need to join, chain and turn instead of simply joining, chaining and then continuing in the same direction. I’m confused about row 10. So far I’ve got basically a big tube of 9 rows of crochet. Am I correct in understanding that I’m supposed to connect row 10 with row 1? Nope, that is definitely a typo. 🙂 You just join at the end of the row as normal. There’s nothing different about row 10, except it’s your last row. Love this cowl! Are you counting the ch 2 at the end of the round as a dc stitch? Or is it just a turning chain? Thank you. No, the CH2 does not count. i mentioned it on facebook & all my friends were interestered & I told them to look it up on line.I will never chain & do first row again. Should your first round measure 32″? I haven’t crocheted in years and was wondering if there was a gauge test. I had no clue what the Chainless Foundation technique was, so I googled it, watched a video (many times!!!!) and love it. I agree with the others, this is the best first row ever! 32″ is just about right. The gauge is about 2 DC per inch, or 10DC = 5″. 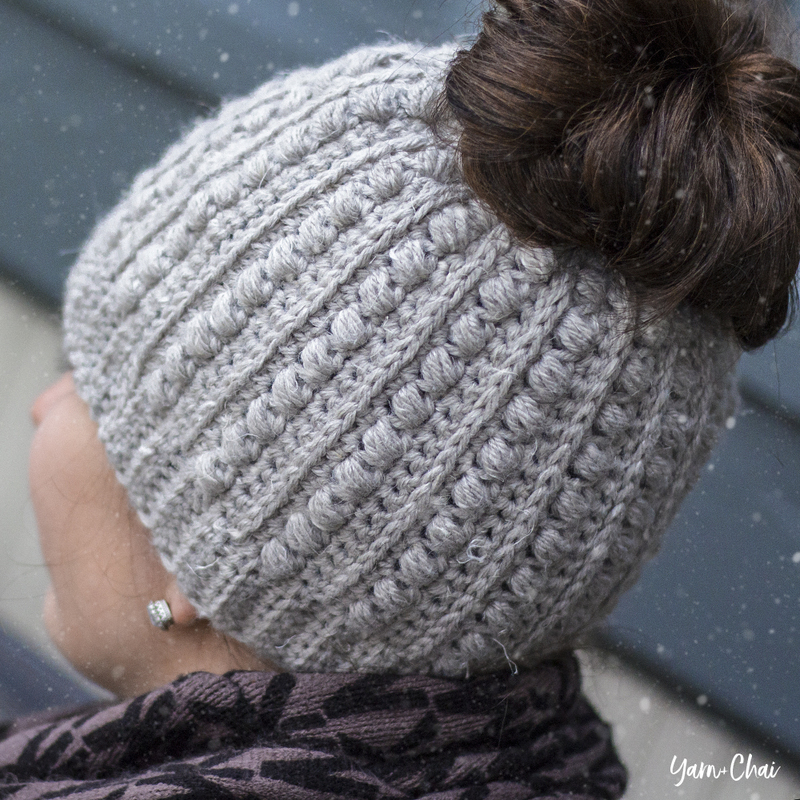 The cowl will stretch a bit with the heaviness and you’ll probably end up closer to 40″. Thank you Rebecca! I made one but not sure I did the twisting correctly. It’s really bulky where the slip stitches are. But on a good note, my daughter will appreciate the warmth. I’m going to try another. If you have any photos of what that edge should look like I’m sure we’d all benefit! Happy Holidays. This is SO gorgeous! My M hook is a 9 mm and my N is a 10….just wondering which one you used? Thank you! I really don’t like the chainless foundation technique,could you please tell me many chains to make! 67, and DC in the 3rd chain from the hook. You may have already answered this when you said that there is nothing different about row 10 except that it is the last row, in response to a comment above… but I just want to double check. It’s basically 2-10 double crochet in backloop only right? You just did 2-9 and then 10 separately because it’s the final row? Sorry if that is a silly question. Thanks for your help. thank you so much!!! I made this for my niece and she loves it!! Instead of chaining and turning, could you just work the front loop every other row? I tried that, but my “seam” area was looking even sloppier. Rebecca, I made this cowl in Patone’s Color of 2015 – it came out gorgeous! Thank you so much for sharing your talent! Would you still ch 65 if you wanted to make this as a regular scarf or would you suggest increasing the number????? You’ll definitely want to increase the number. Foundation Double Crochet. In the first round, I’ve included a link to the “Chainless Foundation technique.” That should help you. 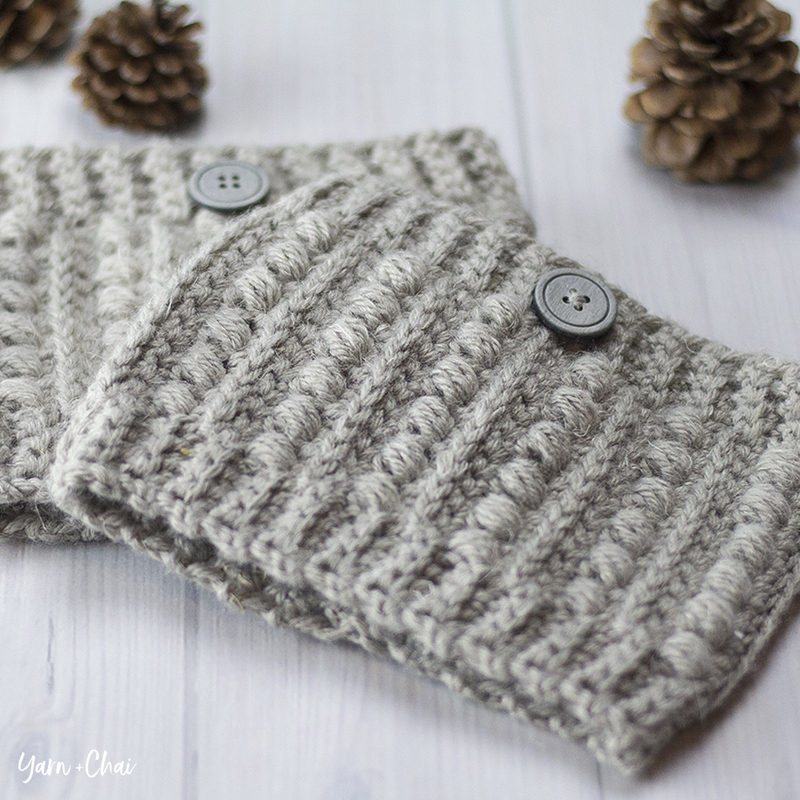 I love this cowl pattern. Do you think that the FDC is good for doing a newsboy hat because I like to make a set of them. Thank you! I’m not sure I understand the question. The two skeins aren’t held together — that’s just the total amount of yarn I used to complete the entire project (meaning, about halfway through the scarf I ran out of yarn and attached a 2nd skein). So if you only use one, no, you won’t be able to make the scarf the same way. Does that help? Would you please tell me what the finished dimensions are for the Chunky Ribbed Cowl? Thank you this is a beautiful pattern. Thank you! The cowl will be between 35-40″ around (the heaviness of the yarn causes quite a bit of stretch by the time you’re done). I’m so sorry that I didn’t write down the width… many of my earlier patterns are missing information, and I’m working through them one by one to update them. From memory, I’m going to guess that it was about 9-10″ wide. absolutely love this cowl. Made it for my mom and she loves it. Its perfect. Easy to do and fun to make. Thank you for the wonderful pattern. I am looking for a simple pattern to make for my niece, This looks like something she will wear. I’m really not understanding the twist. It’s not coming out correctly. Can I just crochet and turn then connect at the end? I’ve been crocheting for a couple of years now and have learned a lot just by practice as well as books, videos and online patterns. This is so pretty and seems as if it should be easy enough but I’m confused about how to twist the foundation chain and continuing the double crochet. Would it also work to make a straight piece in rows then twist it and stitch the ends together? This is one my favorite patterns because I can sit and watch tv while crocheting. Thanks for sharing! I’d never worked with super bulky yarn before so I was looking forward to giving it a try. I made a few of these cowls for Christmas gifts in a variety of Lion Brand Hometown USA colors and have been told they’ve garnered many compliments. Thank you for this beautiful (and easy! lol) pattern and especially for generously offering it for free. Very nice pattern! Makes a great gift! I just love all of your patterns. 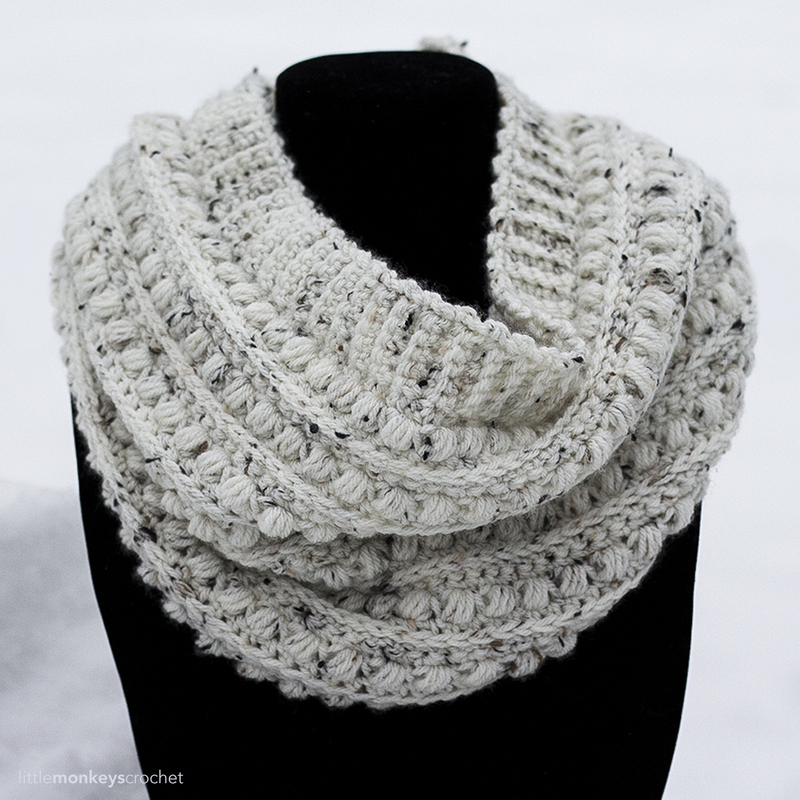 This is one of my favorite cowls to make! I have made it in a few different types of yarn and it always comes out looking beautiful! I love this scarf! A friend of mine is a HUGE Katniss Everdeen fan, and she’s been wanting a cowl just like hers in Mockingjay. This will be perfect! Thanks! This is the first pattern of yours that I’ve made and have receicved lots of compliments. Love it!!! I can’t wait to try it! I see that you provide a rough length and gauge (2 dc = 2″ and length about 32″, which will stretch to about 40″ with the weight of the yarn). But would you also kindly provide a width for 10 rows? I crochet RIDICULOUSLY loosely, so I need to know how to adjust my number of stitches or hook used in order to get the same great look you’ve achieved. And…may I respectfully suggest that you show the finished dimensions in the pattern itself; I see that some of your other wonderful creations include this. That would help people like me who KNOW we MUST adjust patterns to our weird gauges. Thanks!! Looking forward to making this pattern. I let be the look of the chunky ribbed cowl, I am having trouble figuring the twist in the cowl, is there a video I can watch to see how to do this? 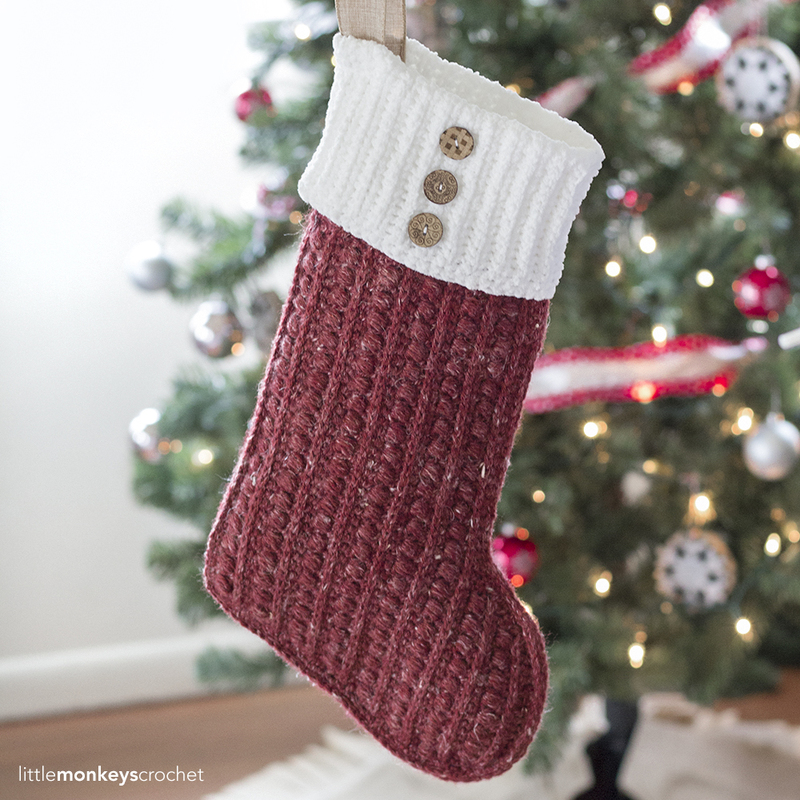 Hi I have a couple of questions as I am newer to crochet. Do you chain 3 or 4 to start a foundation double crochet? Do the first chains (the ones I’m asking about if there should be 3 or 4) actually count as the first double crochet? Lastly, when going to connect the fdc to work in the round, the bottom part of the chain doesn’t seem connected, especially since I’m working with a bulky yarn, it is connected at the top but not at the bottom, how do I fix this? Thank you so much, I hope my questions aren’t too confusing.